Coswatches.com is a replica website that doesn’t ring any bells, but let’s hope it knows what “tick tock” is all about. This being said, we will lay open every wheel that spins putting in motion its complex machinery and without a doubt we will find out what really makes it tick. Really, I am not exaggerating when I say that it looks very bad. It looks incredibly cheap and primitive. And if I may add, a little bit disorganized and empty. Even the main banner is out dated. It says “Weekend Deals. Back to School. 31 July-1 August.” and it is October already. The actual cherry on top of this preposterous cake is the text “watches sail”, on the top left side of the page next to the crown logo. Are these watches sailing away? Or is the term “sail” a misspelling of “sale”. Oops! Whatever the answer may be it doesn’t do any service to the company’s image which is already sinking in a puddle of foolishness. The product menu is on the left side of the page and you could say that it is a never-ending list of famous brand names. You’ve better know what you’re looking for; otherwise it will just take forever to browse through all the collection hoping to find one that looks more appealing than the others. 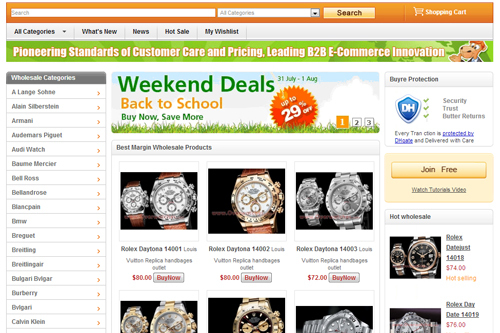 The watches are not well organized and browsing feels incredibly difficult. 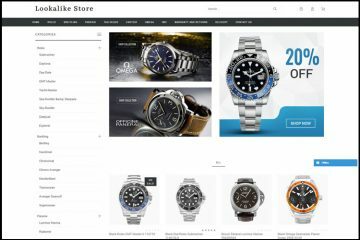 As expected, there is no filter or advanced search to improve the usability of the website so prepare yourself because buying a watch from this place may take a while. The watches here, at Coswatches.com, are Japanese made and priced at $80- more or less. The only exception is the Rolex brand which is available also with a Swiss made movement. I find it very peculiar that these so called Swiss made watches cost only $150. I know replicas are supposed to be cheap, but, still, this feels like a huge exaggeration. Believe it or not, the products do not have a description. On the product’s page you find only the name, model ID, gender, price and the photo of the item. Probably, the merchant considered that it would be a waste of his time to add descriptions to his replicas. So how do you see if a merchant is trustworthy? You start by reading everything there is about its delivery, warranty and payment policies. 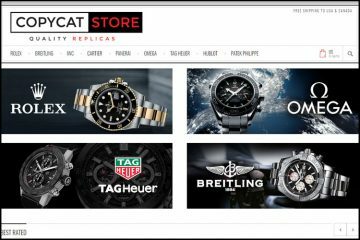 Well, if you want to check these things on Coswatches.com you will be shocked to realize that the website doesn’t have valid pages for its Delivery, Payment and Warranty pages. 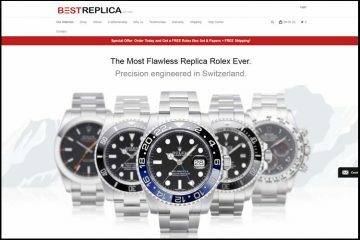 To be more specific, when you click on the links from the bottom of the site it simply reloads the last page you have visited on Conswatches.com. From the numerous links listed in the bottom, the only two that work are Contact Us and FAQ. The FAQ page has only a few basic details regarding the usual business practice of this company. Here we find out that packages are shipped worldwide with a tracking number and that delivery takes about 7-10 business days. Also, credit card payments and Western Union transfers are accepted. Although, it does not say what are the accepted credit card companies. Pictures: I would really like to have something good to say about the pictures used by Coswatches.com to present its products. The truth is that this is impossible. Firstly, the company uses different style of pictures. Secondly, these are obviously copied catalog photos. Thirdly, only one image is available per product. And last, but not least: the pictures are watermarked with the website name www.overwatches.com. So I think it is only fair to say that these photos do not represent correctly the merchandise the company actually offers for sale, furthermore the high discrepancies could also suggest that this may very well be a scam store. Customer service: The Contact Us page is the most unprofessional one I have seen so far. Here, in an uncompromisingly manner we are offered two contact options: by email or by contact form. The email address is a Gmail account, [email protected], which doesn’t offer any security to potential customers in regards to the protection of their data or in regards to the professionalism and liability of this company. Also, even though on the site there is a chat button, this does not work. When you click it, it re-directs you to the same page you were on previously. If there is one thing I hate more than companies not offering customer service then this would be: companies pretending to offer customer service. Summary: Coswatches.com sounds to me more like CONSwatches.com. Yes, CONS. From my point of view, there are only CONS for why you shouldn’t buy from this merchant. Half of the website doesn’t work- the important parts about the delivery, warranty and payment policy. It doesn’t provide a responsive customer service and it does not offer pictures of its actual merchandise. 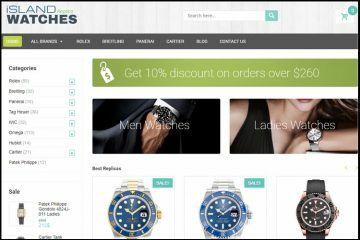 For me, it is crystal clear that Coswatches.com represents a high fraud risk. I wouldn’t take any chances with my money on this website. Would you? Hello to you ~ I just simply wanted to know who is your top choice for these replicas & their websites? I’d like a ladies datejust white gold (look)w/a pink, purple, even on to gray MOP face! Definitely “diamonds” around the bezel & the markers of the face. Polished, smooth & the newer wristband type. I’ve pictures if needed to be helpful! I’m not sure what kind of help you offer to your followers, so I threw my questions for guidance out there to YOU, who seems to know more than others I’ve come across!